Many people make New Year’s resolutions to live a healthier lifestyle. If you use commercial tobacco products, such as cigarettes, cigars, and chewing tobacco among others, quitting tobacco (or helping someone quit tobacco) may be on your list of New Year’s resolutions. Stopping tobacco use has many health benefits, including lower risks for many types of cancer and cardiovascular diseases (e.g., stroke, heart diseases), and longer life expectancy. However, changing behaviors is hard. Here is a short guide to help achieve your New Year’s resolution to quit tobacco products. The harms of cigarette smoking, as well as smokeless tobacco use, are well documented. Cigar use is also harmful and particularly common among Blacks in the United States. Research has shown that cigar use is associated with dying from various types of cancers, including lung, oral, and pancreatic cancers. A recent report by the National Academy of Sciences, Engineering, and Medicine concluded that e-cigarette use likewise poses health risks. Some cigarette smokers try to quit smoking by switching from cigarettes to products that they believe to be less harmful than cigarettes. 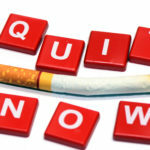 However, no studies to date have shown that such a strategy is effective in quitting cigarette smoking. So, it is important for your health to stop using all commercial tobacco products. Many tobacco users try to quit tobacco “cold turkey”; that is, they stop using tobacco abruptly without using any cessation aids. It is true that people can quit tobacco solely with willpower, just like people can multiply 5-digit numbers in their head. As calculators make math easier for us, cessation aids, including nicotine gums and patches, prescription medications, and support programs, will make quitting tobacco easier. Unfortunately, compared with non-Hispanic White smokers, minority smokers are less likely to use these cessation aids. Try them out! And find the right one that works for you! Smoking cessation support programs are available for free at https://smokefree.gov/. The website offers text-messaging and a mobile-based program for general smokers, as well as veterans, women, and Spanish-speaking individuals. These programs help you manage your nicotine craving while you are trying to quit tobacco for good. During the holiday season, you often receive discount coupons for tobacco products as “gifts.” Our research showed that these coupons hinder smoking cessation and increase the chances of relapse. These coupons may also promote switching to different tobacco products (including e-cigarettes) instead of giving up all tobacco. Don’t be fooled by these ads! Instead, you can choose to remove yourself from their mailing lists. Just like learning a new skill, it takes many trials to get rid of commercial tobacco products from your life. And just like learning a new skill, practice makes perfect. Don’t think about your past trials as failures. Instead, pay attention to why you relapse. Take note of these triggers and develop strategies to deal with them. And then try again. I wish you great success in quitting tobacco in 2019! 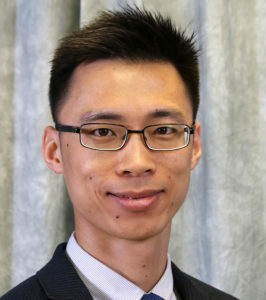 To learn more about Dr. Choi’s work at the NIMHD Division of Intramural Research view his short video here https://www.youtube.com/watch?v=0dGWN_FNerw. Babb, S., Malarcher, A., Schauer, G., Asman, K., & Jamal, A. (2017). Quitting smoking among adults—United States, 2000–2015. MMWR Morbidity and Mortality Weekly Report, 65, 1457–1464. National Center for Chronic Disease Prevention and Health Promotion, Office on Smoking and Health. The Health Consequences of Smoking—50 Years of Progress. A Report of the Surgeon General. Atlanta, GA: Centers for Disease Control and Prevention, 2014. Choi, K., Chen, J. C., Tan, A. S. L., Soneji, S., & Moran, M. B. (Epub 2018). Receipt of tobacco direct mail/email discount coupons and trajectories of cigarette smoking behaviours in a nationally representative longitudinal cohort of U.S. adults. Tobacco Control. doi:10.1136/tobaccocontrol-2018-054363.